Beating with the pulse of a long-witheld confession, Patsy gives voice to a woman who looks to America for the opportunity to choose herself first--not to give a better life to her family back home. Patsy leaves Tru behind in a defiant act of self-preservation, hoping for a new start where she can be, and love, whomever she wants. But when Patsy arrives in Brooklyn, America is not as Cicely's treasured letters described; to survive as an undocumented immigrant, she is forced to work as a bathroom attendant and nanny. Meanwhile, Tru builds a faltering relationship with her father back in Jamaica, grappling with her own questions of identity and sexuality, and trying desperately to empathize with her mother's decision. As with her masterful debut, Here Comes the Sun, Nicole Dennis-Benn once again charts the geography of a hidden world--that of a paradise lost, swirling with the echoes of lilting patois, in which one woman fights to discover her sense of self in a world that tries to define her. 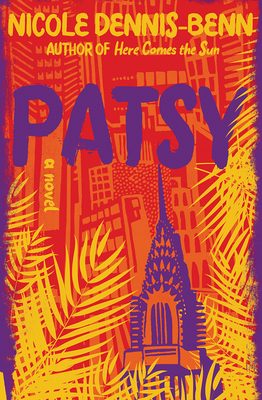 Passionate, moving, and fiercely urgent, Patsy is a prismatic depiction of immigration and womanhood, and the lasting threads of love stretching across years and oceans.